Created by developer Akella, this action game finds Postal Dude in Catharsis - the sister city of Paradise, and will be based on the Source engine instead of the Unreal engine of its predecessor. This 3rd person shooter game shows the post-Apocalyptic world of Catharsis which is hostile to live in due to a corrupt and hypocrite Government, insane left-wing extremists and Global Economic Meltdown. 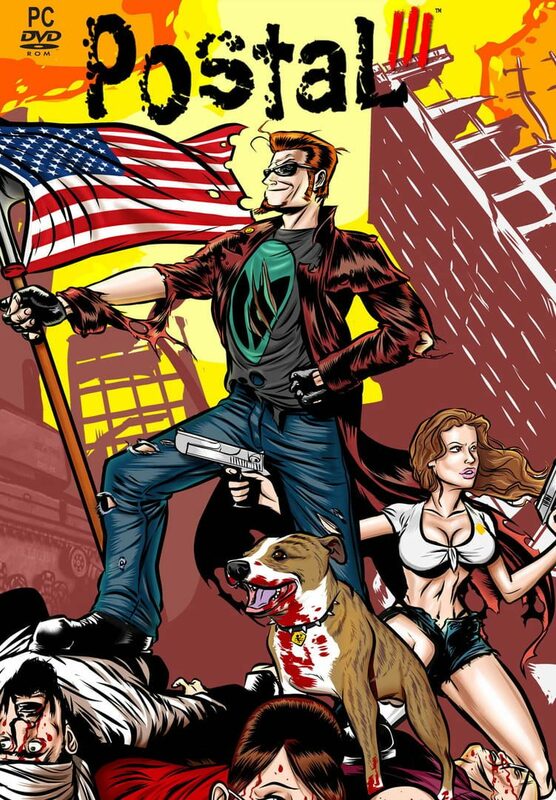 The game shows Postal Dude and his crazy pit-bull Champ battling the hostile forces. The enemies are many, and range from Uncle, the sociopathic head aspiring to be a nuke power, Gay Segway gangs of bikers, a cartoon mascot having ties with Al Qaeda to an army of zealous environmentalists headed by an ex-Vice President. Apart from action, this satirical game has loads of humor in the form of celebrity characters like Jennifer Walcott, Uwe Boll, Randy Jones and Ron Jeremy. Postal Babes, Champ, Krotchy and other famous characters from Running With Scissors will fight with or even against you at times. Before purchasing your Postal 3 CD key, always check the product description from your store. Make sure that the keys are available in stock and any activation techniques necessary can also be availed.